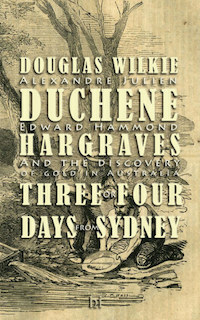 Congratulations to Douglas Wilkie on the recent publication of Duchene/Hargraves: Alexandre Julien Duchene, Edward Hammond Hargraves and the Discovery of gold in Australia Three or Four Days from Sydney (Historia Incognita), which looks at the lives of Duchene and Hargraves, lived entirely separately until they both arrived in San Francisco towards the end of 1849. Why was Duchene was considered ‘a man of most exemplary conduct’, while Hargraves was dismissed as an impostor and impudent pretender? And did Hargraves devise his plan to look for gold west of Sydney only after hearing a story told by Duchene in California? Next → Next post: ‘How the Personal Became Political: Reassessing Australia’s Revolutions in Gender and Sexuality in the 1970s’.